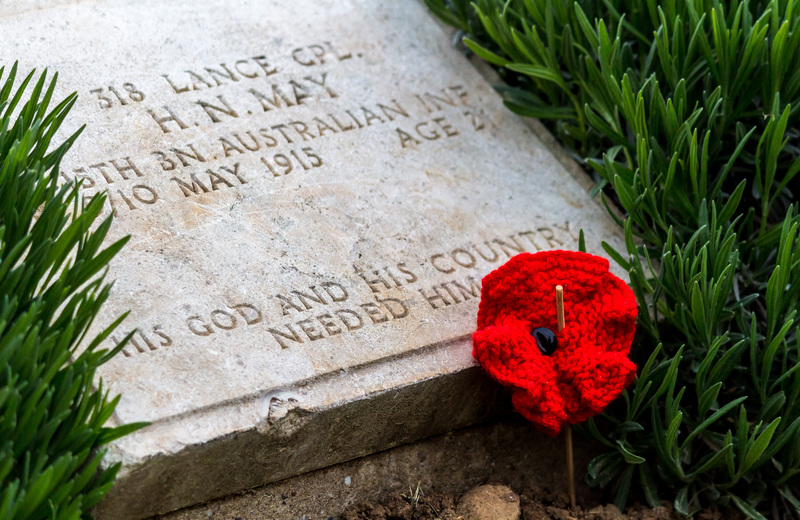 Every year as children attending school in New Zealand, we learned about Anzac Day. 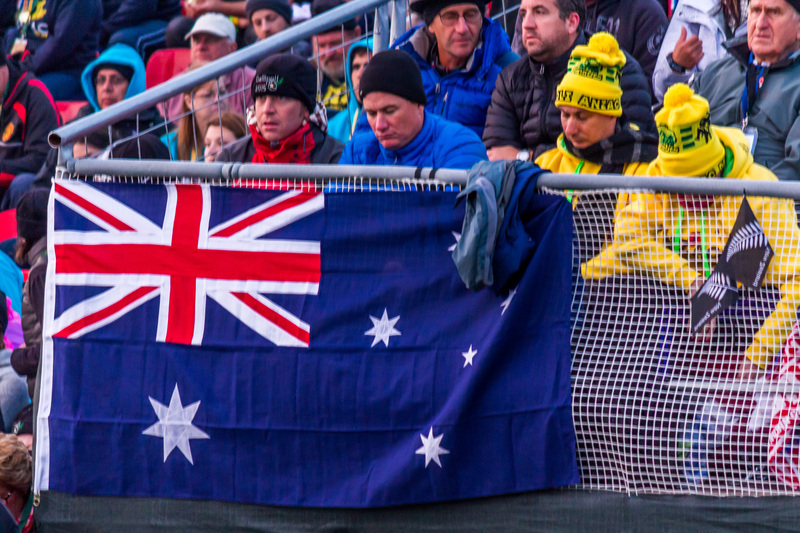 This story which has so strongly influenced our cultural and national identity is entrenched in the minds and hearts of every New Zealander, evidenced by the crowds which turn up to dawn ceremonies all over the country every April 25th. Anzac Day is not only a day to remember the fateful landings at Gallipoli, Turkey in 1915 and the brave campaign fought there for months on end by the New Zealand and Australian soldiers, but a day to honor all men and women who have served our country, defended our freedom, left their families and comfort to fight or peace-keep in far off lands and a day to celebrate who we are as a nation. In the early hours of the morning on April 25th 1915, Britain launched its attack on Turkey. The idea was to take over the Dardanelles straight, opening access to Europe (in particular Russia), to necessitate diversion of enemy resources from the Western Front and to aid in victory over Germany. The British war office deemed the Ottoman forces to be weak, likely to be easily overcome and sent in the Anzacs – a new fledgling corps made up of young men from New Zealand and Australia. These young men had been promised travel and adventure overseas, easy victories and that they would come home heroes. They knew very little about the realities of war, and Australia and New Zealand were excited to contribute to the war effort – one of the first times they would internationally be recognised as countries in their own right, not just colonies of Britain. From the beginning, the Gallipoli campaign was a tragic failure. To start with, the soldiers were deposited not on flat open expanses of beach but at Anzac Cove, a narrow stretch of sand surrounded by cliffs. As the soldiers landed at dawn, they found atop these cliffs thousands of Turkish soldiers armed with machine guns. Hundreds of our men lost their lives within the first five minutes of landing on Turkish soil. Despite this, the men roared up the hills, scrambling over bushes and rocks in an attempt to storm the Turkish troops. In the months to come they gained a reputation for their raw bravery, tenacity and perseverance despite being so outnumbered. For months on end the soldiers lived in shallow trenches they had dug themselves, exposed to horrific disease due to the sanitation conditions, and becoming increasingly weak thanks to inadequate supplies of nutrition and medical care being shipped in. Many times the message was relayed that this battle was hopeless, the conditions were terrible and the army should withdraw. Bodies piled up day after day yet those in charge issued the command that they were to keep fighting. The news that reached British, Australian and New Zealand newspapers was that the war was going marvelously, and Turks were falling at the hands of the Anzacs – that it was a big success. Further misinformation resulted in the death of more young men… such as the directive to empty their guns of ammunition and charge the Turkish forces with bayonets instead as this would be much faster. After the first wave of 100 men to attempt this were gunned down by Turkish machine guns, three more waves were forced to run to their certain death. There are many more stories such as reinforcements arriving too late or bombardments being called off too early which make one seethe with the incompetence of those in charge. Still, we choose to celebrate instead our men’s bravery and successes, which were significant. During the 8 months of this campaign, the Anzacs and the Turks gained a mutual respect for one another. 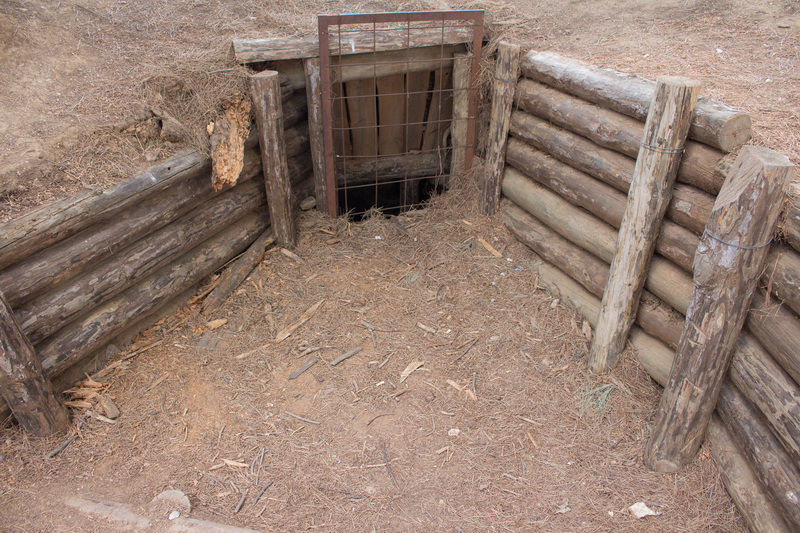 Turks would throw cigarettes to the Anzac trenches (sometimes only a few meters away) and the Anzacs would throw food or other supplies back. They wrote notes to one another and on one occasion called a truce so that each side could finally bury their dead. The Turks couldn’t understand why the Anzacs were so far from home, fighting for another country and they themselves were only defending against our attack – they hadn’t chosen to enter into battle. The humanity of both sides is brought home with such stories, and we remember that they were all men with hearts, not machines and not evil forces. Ataturk, the first president of the Turkish republic’s message to us: Those heroes that shed their blood and lost their lives. You are now living in the soil of a friendly country therefore rest in peace. There is no difference between the Johnnies and the Mehmets to us where they lie side by side here in this country of ours. You, the mothers, who sent their sons from faraway countries wipe away your tears; your sons are now lying in our bosom and are in peace. After having lost their lives on this land they have become our sons as well. Eventually, after briefly capturing Lone Pine and Chunuk Bair, the Anzacs were given permission to withdraw. Overnight, every single soldier was safely evacuated – making it the most successful evacuation of the war. The Turks celebrate Anzac Day also, as for them it represents a turning point in history – they defended their country and owe their freedom to their troops and the battles won at Gallipoli. Back to the present day, and each April 25th at 5:30am, New Zealand and Australia remembers the Anzacs. Dawn ceremonies are solemn affairs, with prayers, poems and speeches performed as well as hymns being sung. The flag is raised to the tune of the Last Post played on a bugle or trumpet and service men march in formation. 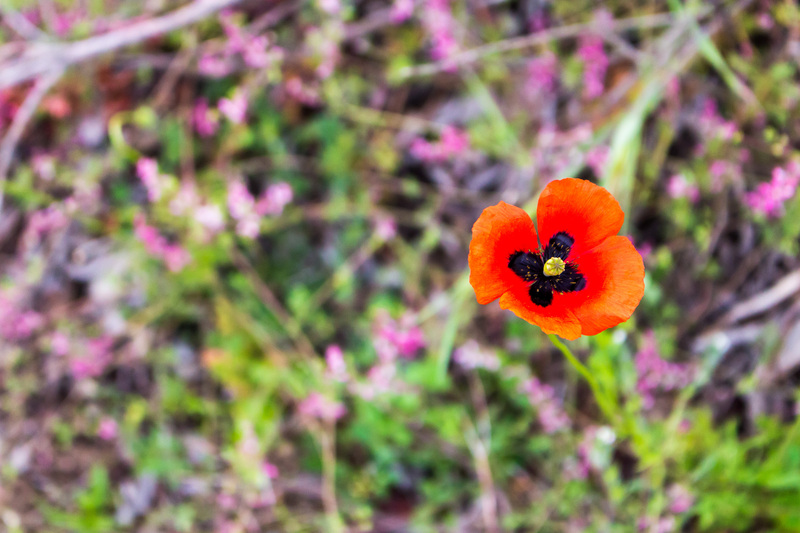 Often Air force planes fly overhead, and members of the public lay wreaths and poppies (the symbol of Anzac Day due to the fields of blooming poppies where so many men died) on local war memorials. This day is a public holiday in both countries, and is one of 4 days out of 365 where shops aren’t allowed to open (before noon anyway). 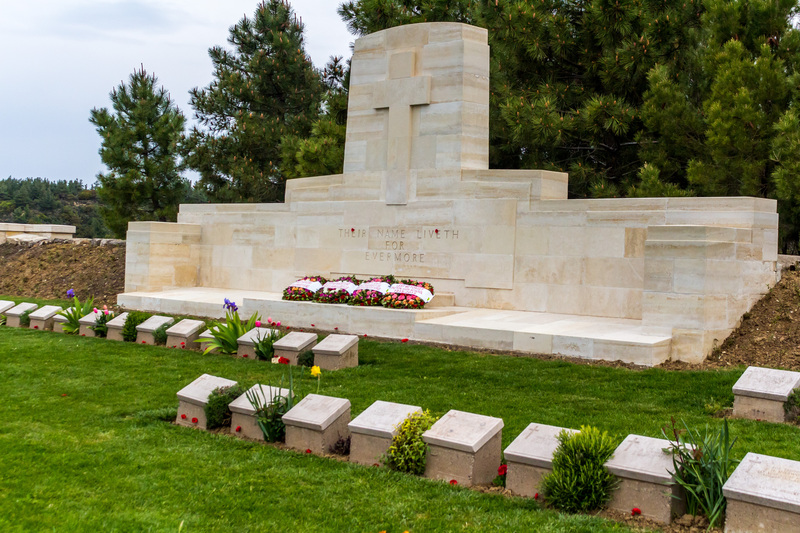 Each year the same ceremony is performed at Gallipoli itself, and many young New Zealanders and Australians make the pilgrimage to Turkey to honor the fallen, and partake in this patriotic display of thanks and pride. This year marks the 100th anniversary of the start of World War I. 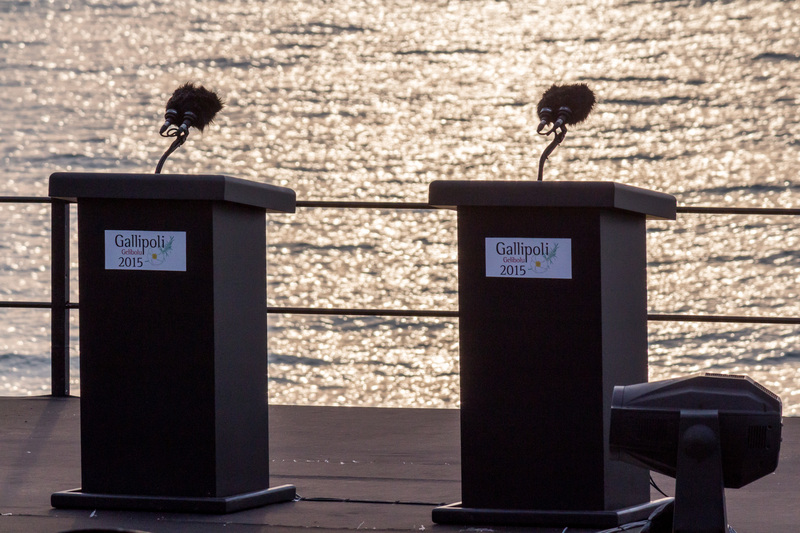 Since so many people were expected to want to attend, the Turkish government limited attendance to 10,000 people – 8,000 Australians and 2,000 New Zealanders. This represents less than the number of men killed at Gallipoli from each country, which when considering that the populations of our countries were 4 million and 1 million respectively were significant. 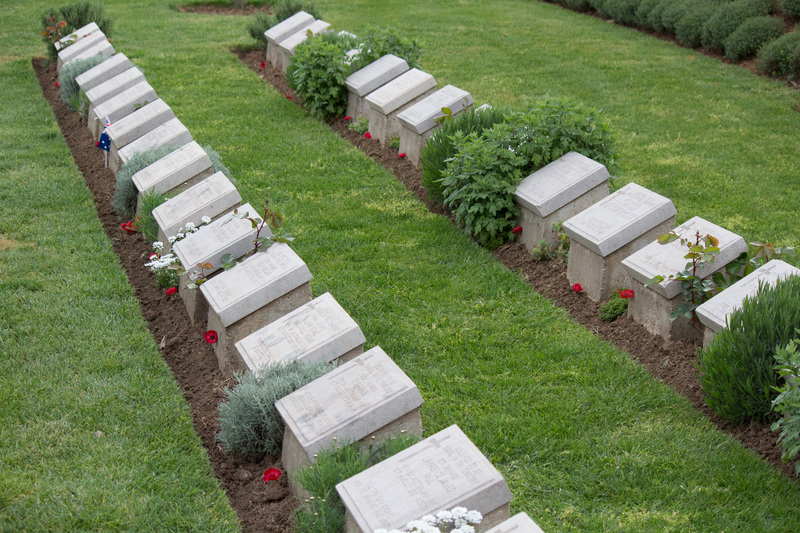 Over 120,000 men were killed at Gallipoli and many of them (including 74% of NZers) remain unidentified and lie in unmarked graves. 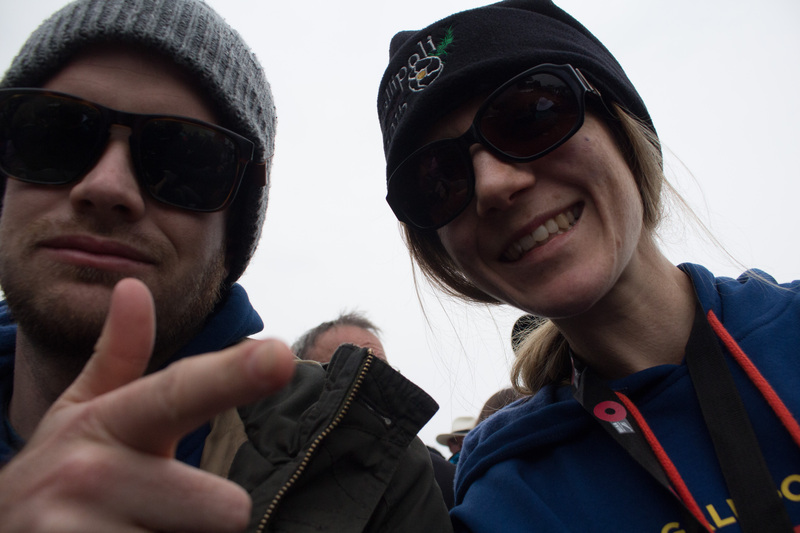 People who wanted to attend the commemorations had to apply via a ballot process, and James was lucky enough to win a double pass. Whilst many of our compatriots travelled all the way from Australasia, we were fortunate enough to only have a 3 hour flight from Frankfurt. Shortly before 6am on the 24th, our Top Deck tour group left Istanbul and drove 4.5 hours to Gallipoli. Here we went through a number of security check points and I have to say I am utterly impressed with the military organisation of this years commemorations. 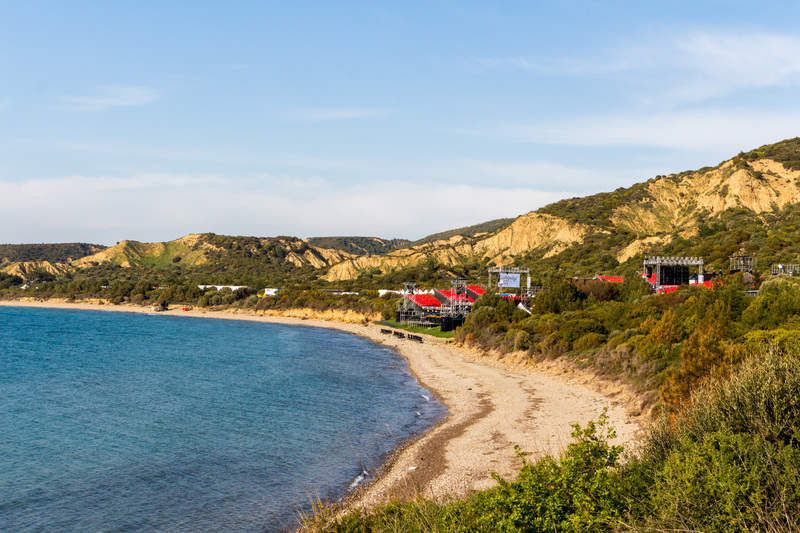 We spent some hours at Mimoza beach in a waiting area, after which time we were allowed to walk 2km along the coast to Anzac cove and through another security check point. The cove is maintained as part of a national park, and there are no buildings or permanent structures. We were allowed only to bring a backpack, with no camping gear permitted. 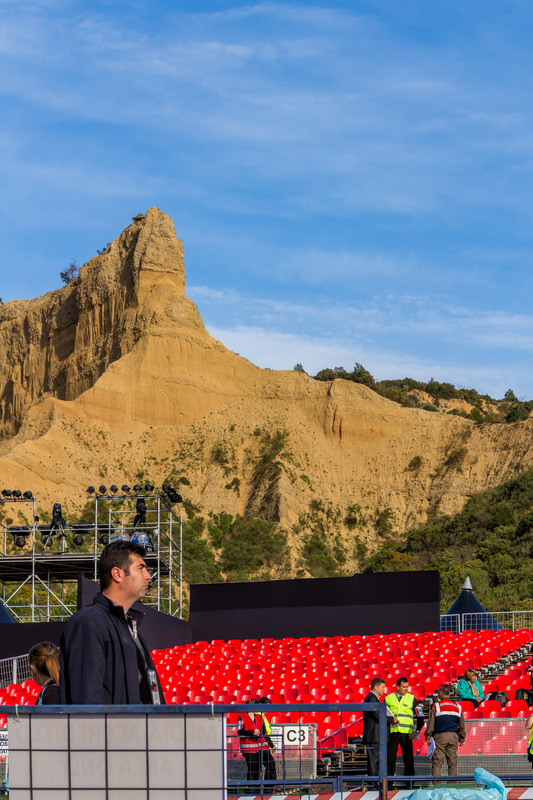 Upon arriving at Anzac cove, the first thing that struck us was the sheer faces of the cliffs towering above the beach. We could only imagine the surprise followed by confusion and then finally dread the soldiers must have felt upon realising the position they were in. 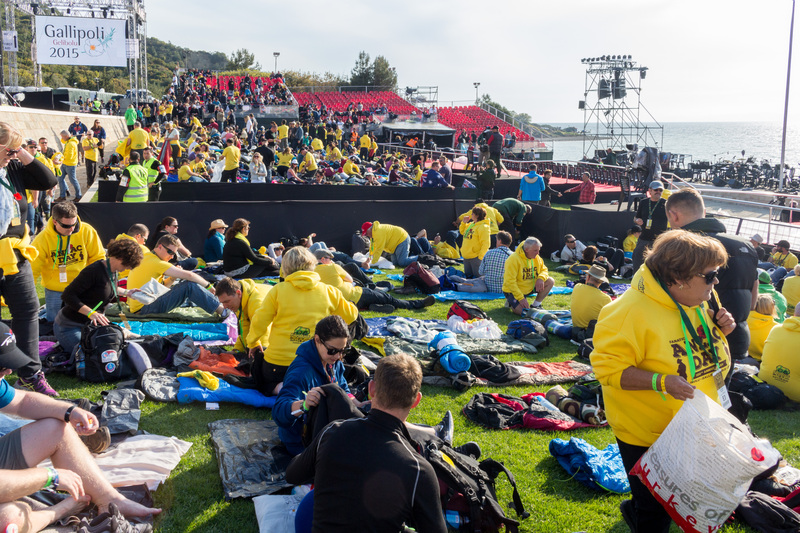 The small grassed area was surrounded by plastic seating, but we managed to grab a spot on the grass where we could stretch out for a few hours at least. 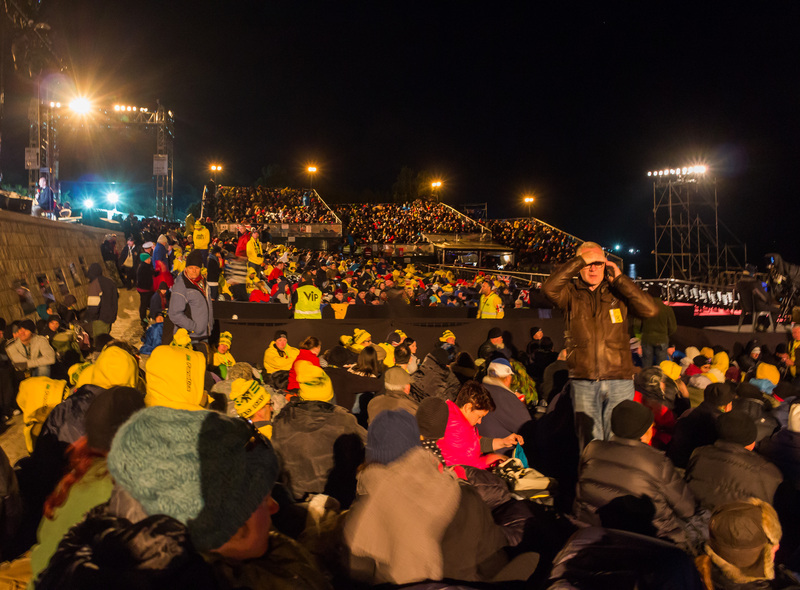 As night fell, the temperatures dropped, the mood became somber and more and more people filed in. By 3am it was standing room only throughout the cove. 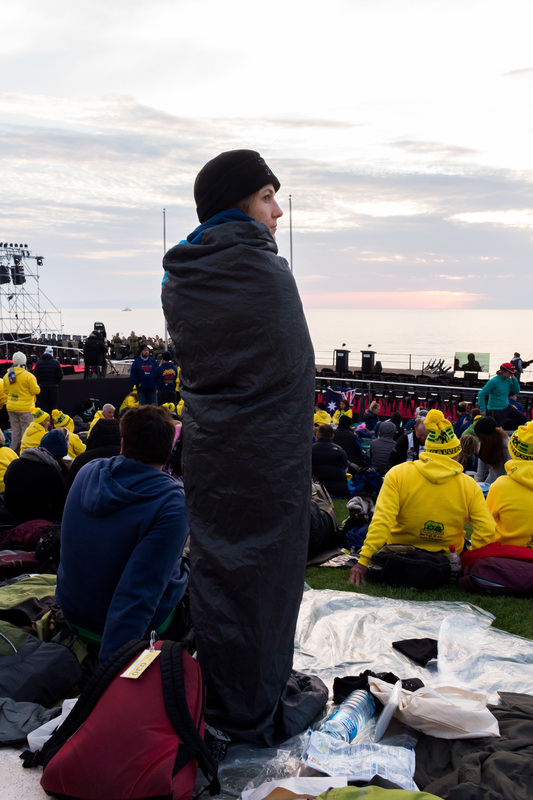 10,000 Nzers and Australians kept an overnight vigil, during which time films, speeches and stories were played on the big screens erected at the site. We heard untold stories, were reminded of facts we had previously learned, watched teary interviews with veterans, heard heartfelt performances by school children and listened to letters and reports from the battlefields. The army band played at regular intervals. We felt a mixture of pride for the bravery of our soldiers, and anger at the senselessness of their deaths. It was heartbreaking to hear gravestone inscriptions written for men by their mothers – because they were too young to have wives and were really only boys of 17 or 18. When “dying for a worthy cause” was mentioned it really was difficult to reconcile this with the thought of young men being slaughtered fighting someone else’s battle. We were reminded of the bravery and dedication of the Red Cross nurses who spent sleepless weeks caring for wounded and diseased soldiers whilst shells fell all around their hospital ship, and heard of the reporters who tried valiantly to get the real stories published. At 5:30am, the place was silent. All we could hear was the lapping of the ocean on the shore, and the air was eerily still and thick with anticipation. At this moment, it was not hard to imagine the soldiers dropping into the sea with their heavy packs (many of them drowned at this point) and coming ashore to the very spot where we were standing, to meet their death. The bones of thousands of unidentified soldiers lay under our very feet. The ceremony was a moving affair, with speeches from our Prime Ministers, Prince Charles and representatives from Turkey. We sung our national anthems with pride and reflected more deeply than we ever had before during the annual two minutes of silence. Once the dawn ceremony was over, it was time for the next part of our journey. 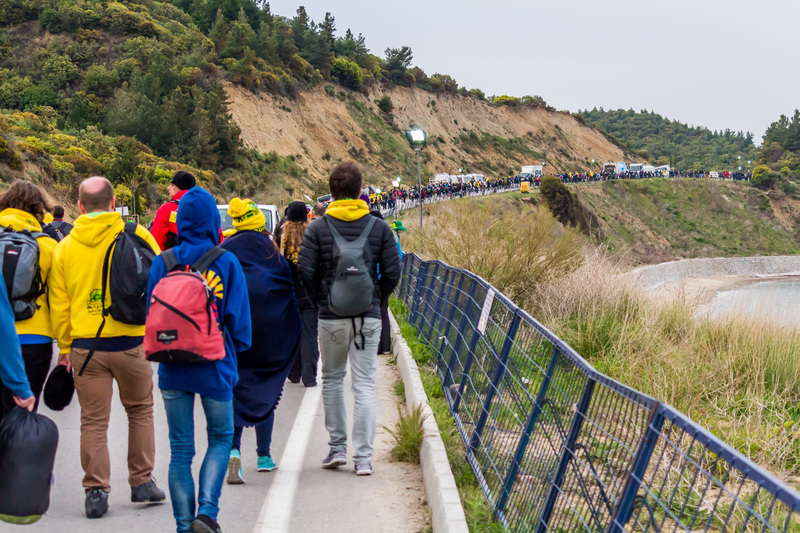 We filed out of Anzac cove and began the trek up the steep 6km track towards Chunuk Bair (where we were security screened twice more). After 3km we left the Australians at Lone Pine for their own ceremony. 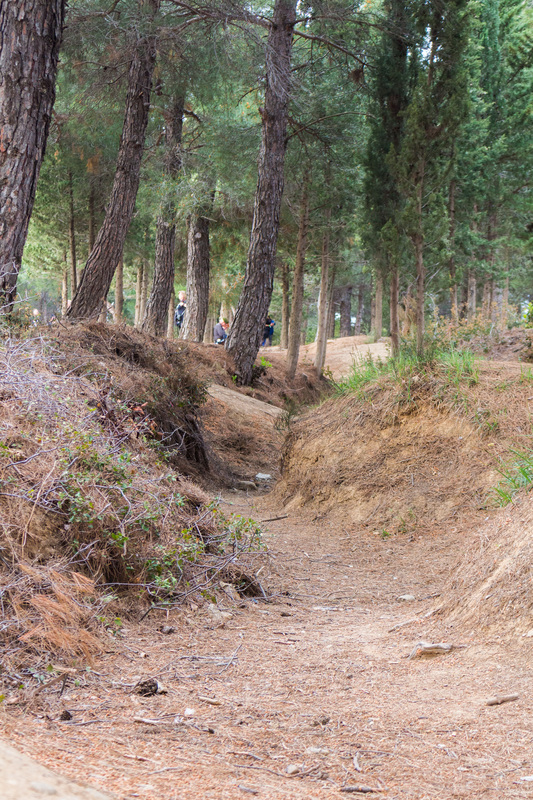 Along the way we visited some of the many cemeteries dotted all over the Gallipoli national park, and stood in the remains of the trenches trying to imagine how life must have been for the soldiers. It was near impossible to do so. At Chunuk Bair we had a 3 hour wait while the Turkish scouts commemorated their own victories, and the cold hard ground has never felt so welcoming! Our group lay down a blanket and slept solidly for these 3 hours after which time we were allowed to enter the site. 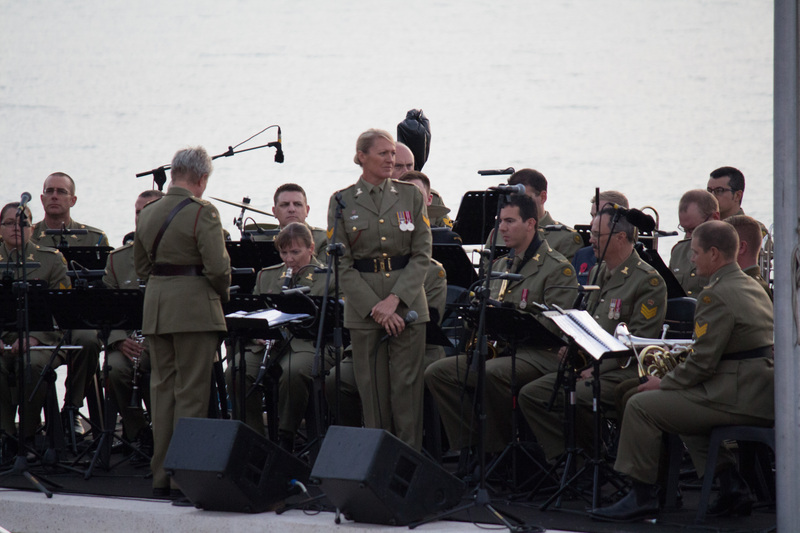 The New Zealand service was somewhat more uplifting than the dawn ceremony, with more of a focus on celebrating the accomplishments and bravery of our soldiers. Prince Harry spoke at this service as well as John Key once again, and youth ambassadors from NZ entertained the crowd with New Zealand songs – from Crowded House to Pokarekareana. As we sung the national anthem and the service ended with a prayer, the emotion in the crowd was palpable and we felt very much at one with our countrymen. After our service we were incredibly fortunate to be one of the first buses called up to drive back to Istanbul – many others were waiting until 9pm. Throughout the waiting and the services we were reminded that no matter how cold, or tired or hungry we were, our ancestors and predecessors endured much, much worse. Their actions and the sacrifices of their families determined our future, by way of contributing to the Allies’ victory, and in shaping our identity as a doggedly determined, remarkably resourceful and tremendously tough nation. My own great grandfather fought at Gallipoli, and was one of the fortunate few who made it home. 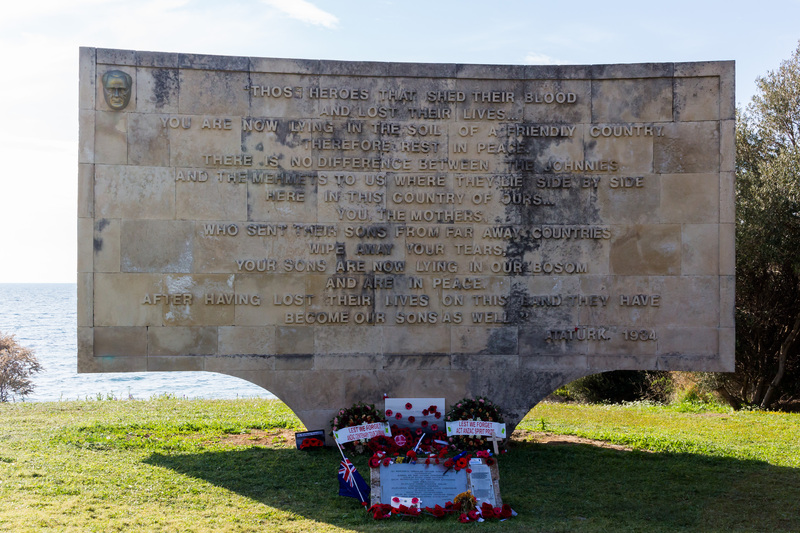 This makes the connection I felt with Anzac cove even stronger. There is something uniquely special about setting foot on such sacred ground, especially when it is somewhere we learn about, talk about and see pictures of every year. It was an incredible privilege and an indescribable experience to have visited this site which is such an important part of our history, and to remember the Anzacs in the very place where they lay down their lives.